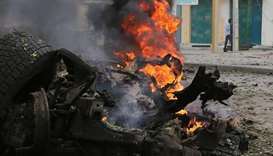 A loud blast destroyed the office in Mogadishu's Hodan district and sent up huge clouds of smoke. 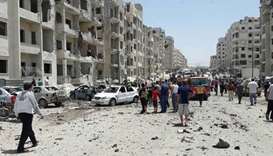 A suicide car bomber from the Islamic State group killed at least six rival jihadists on Wednesday at a roadblock in Syria's northwestern province of Idlib, a monitor said. 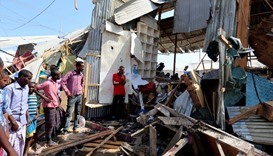 Somalia's extremist group al Shabaab set off a suicide car bomb at a security checkpoint about 15 km (nine miles) outside the capital Mogadishu on Thursday, the group's spokesman and a police official told Reuters. 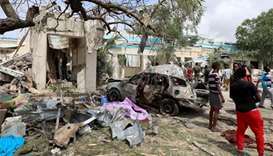 The toll has climbed to 39 dead in an unusually deadly suicide bombing at the weekend in the Somali capital Mogadishu, rescue workers said Monday, the first since a new president was chosen this month. 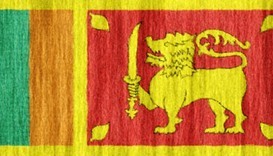 At least 20 school students were hospitalised in Sri Lanka after suffering from food poisoning yesterday, police said. Since the 1970’s, economists have warned that a monetary union could not be sustained without a fiscal union.